Visit our current 5 STAR TOP RATED business recommendation. The Prosperity Nexus Group review shows Steve Hawk as a co-founder. This business entity is basically a very small group of people who migrate from one business to another. What seems to be happening is: As their current business diminishes they then start over again with a fresh business. At this point in time they are hawking, excuse the pun, The TIDOM business opportunity. So, to be perfectly clear on this if you are working under the Prosperity Nexus Group name you still are promoting the TIDOM business. Using the Prosperity Nexus Group nameplate is perhaps a way of distancing themselves to some extent from the bad press that TIDOM has received. Yet you are still under TIDOM when you are working through Prosperity Nexus Group. Prosperity Nexus Group does offer some training and a q & a call. Prosperity Nexus Group is still designed for people who have deep pockets. Their entry level is still at $2000 and additional levels are available including $3500.00 up to $22,000. It is professionally administered using a tracking software system. Prosperity Nexus Group suggests that they focus on the levels up to $6500 instead of the $22,000 level that TIDOM also offers. Prosperity Nexus Group is designed for people who have a lot of money to spend to get started. Their entry level being $2000. Add to that another $195.00 adman fee as well as domain fees of about $30.00 you must purchase and yet another $20.00 PER MONTH 800 phone number fee that is going to be recommended can quickly add up. Prosperity Nexus Group have higher levels of participation: $3,500. and upwards of $22,000 if you choose to participate. At these higher levels comes still higher required fees up to $495.00 that must also be paid up front. After those fees you will be faced with weekly marketing expenses. Most members seem to use telephone call blasting plans each week as well as internet ads. With this approach you will have to buy phone numbers to call as well as the charges to make the calls. The weekly cost to phone blast using this method can quickly climb to over $300. each time. This approach requires you to consistently do this each week in the hope of attracting new members. Another approach they use is to do Text blasting which again runs into similar costs. So, be prepared for this cost. Without this there is not much hope of success. If you can maintain this cost then there is some chance of making some money in the long run. Also, keep in mind that you are required to GIVE UP YOUR FIRST sale to your inviter before you will earn anything. We do not feel that a new person should have to give up their first sale. This business structure should be ok. They are not operating it as a gifting program and do not claim any monies are tax free. So you should report any income as taxable income. The Prosperity Nexus Group business has the freedom of using any marketing and promotion they wish. Their products may be of help to some people but it seems most members are not really interested in products, instead are interested in hopefully earning money. The business seems to be well administered. The Prosperity Nexus Group business is very dependent on the help of your inviter, without direct support most people will flounder unless they already have experience. So, make sure the person who invited you knows what they are doing and can be depended on to help you when you need it. With the high cost of business entry and operating expenses it may prove difficult at best to lure people and can be a very hard sell to most people. 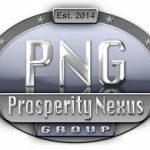 Our analysis shows that without a truly innovative marketing method in place Prosperity Nexus Group business becomes a poor choice for our members. 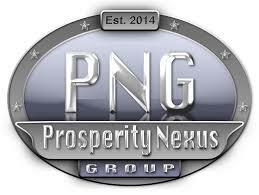 The Prosperity Nexus Group business has many levels of participation: $2000, $3,500, $6500 and up to $22,000. Its payout system is good however they are requiring you go give up entirely your first person you recruit to your inviter and you must also pay for all the marketing costs for this qualifier given to your inviter. This is great if you’re the inviter. The trick here is to last long enough to find a 2nd person yourself and then have that 2nd person find someone for you to receive some income beyond your expenses. Prosperity Nexus Group does not offer any real residual income features. Prosperity Nexus Group business does provide some marketing materials or training which may be of some use. Some teams have marketing systems and strategies in place and some don’t. If you join this program, make sure you are working with a strong mentor and team with great marketing tools. They do have a video on their web site explaining the business. Our analysis left us feeling very concerned that Prosperity Nexus Group business did not have any real innovative marketing support beyond standard approaches. The level of success in Prosperity Nexus Group business will largely depend on what group who sign up with as this business is made up with various independent groups. Make sure you are well funded to endure the slow times as you seek others who can hopefully afford to join you. While this does not always spell failure, we feel that there are probably better options out there but certainly you could do much worse than here too. While this business has not been around very long, it’s future reputation will depend on the success of its members success or failure. Since Prosperity Nexus Group’s business structure is a close clone of other existing businesses and these other business have been on the street much longer, we, then have reservations as to how this business could fare any better? Another hint of its weakness is the observation that many of it’s members will offer you a supposedly free upgrade or no qualifier offer in an attempt to lure people into their business. This is largely seen as a weakness, as a thriving business should not have to resort to such discounts or are they already getting desperate? The Prosperity Nexus Group business lacks any extra features to help make it stand out in a already crowded field and perhaps explain high failure rates among members. The Prosperity Nexus Group business should only be considered if you have a strong background in Internet marketing as well as the funds to pay for reliable marketing costs you will endure. This conclusion seems to be shared by other related reviewers as well. Again we feel that there are many suitable alternative businesses which have significant advantages over this business. However if one wishes to avoid the anxiety associated with the direct selling approach so common with legitimate businesses yet still insist on having a legitimate business model that offers a reasonable opportunity for success for most people then, your options will certainly narrow. We can easily direct you to a host of companies that we have reviewed in the past which provide quality products. However, this always involves substantial expenses for your inventory or to auto ship your products each month. If you truly want to avoid these issues then three businesses which we favor and can be viewed on our recommendations page because they have all the benefits of an independent home business but with none of the negatives associated with gifting programs as well. 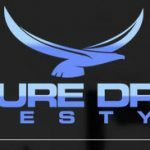 8 Figure Dream Lifestyle review: For these reasons, I’m Out! Before you start dreaming, look at these costs. When we first began the 8 Figure Dream Lifestyle review it was presented as a new business venture. But after digging a little deeper we found that this is mostly a new paint job on an old car! This business is directly linked to the Tidom business that we reviewed previously. In fact this company’s founders are members of Tidom. They are basically repackaging an old company with a new name while offering the same digital products as in the Tidom business review we did. Exitus Review : People are heading for the exits? While we have completed a Exitus Review in the past, updated findings have been added in this Exitus summary. This Exitus review is in response to numerous requests for an update directly by people who have first hand experience with Exitus business. Several people have asked about the beginning of Exitus. Where did it originate . How can we tell if Exitus has the key features any business should have in order to succeed? Join our e-list to get NEW updated Reviews. It’s free! National Home Business Review (NHBR) is an expert, independent, nonprofit organization whose mission is to work for a fair, just, and safe marketplace for all consumers and to empower consumers to protect themselves. Copyright © 2019 · Made With Love For Your Success At Home!